After some unexpected breaks in Indian Cooking Challenge, we are back with a special from Madras. 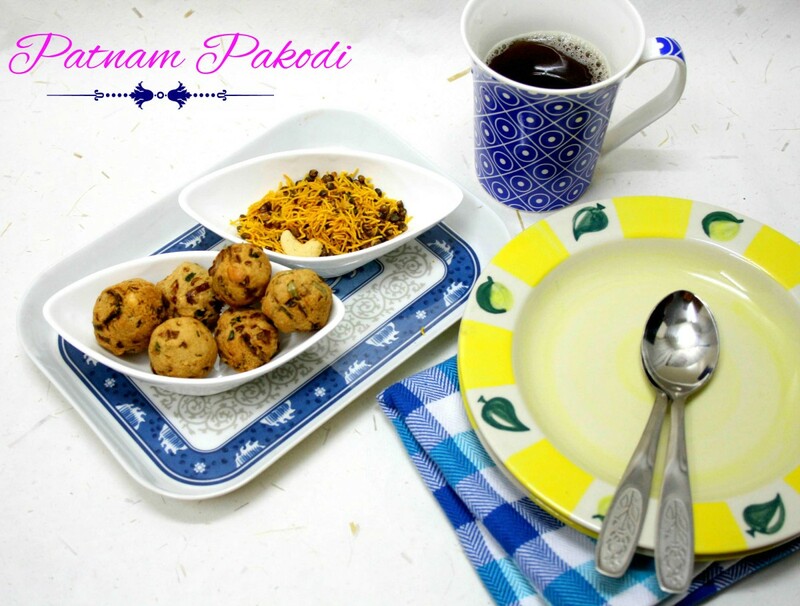 Recipe for the month is from Padma, who got it from her grandmother. Her grandmother had learnt it from own her sister, who was from then state called as Madras. This must almost be some forty plus years ago. I am told that this is a popular street food even in Madras those day. 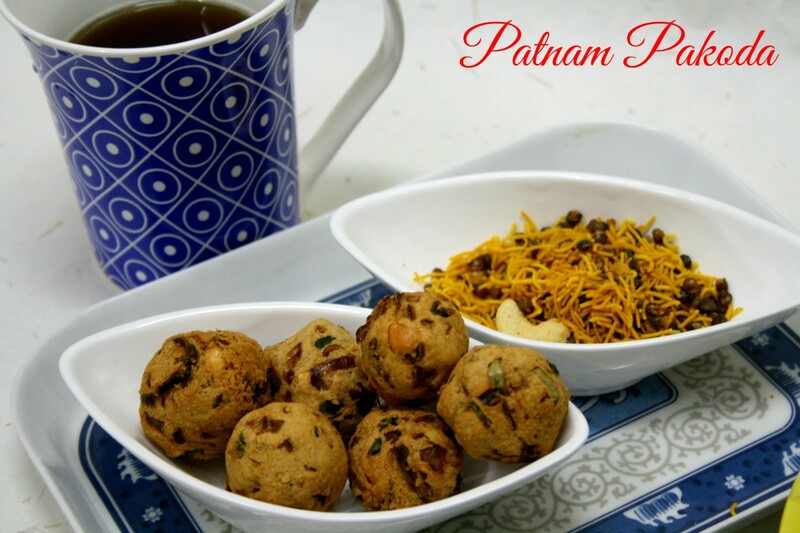 Patnam in Telugu means City, so this is translated to City Pokoda. I was very eager to make this after reading the recipe. Somehow as always ended up making it right at the fag end and had it for my dinner. This is very much like the Meddu Pakoda, that’s still famous in Madras. Only this is made with Cashew nuts. I am so very fond of the Meddu Pakoda, that’s mostly served in weddings. Recently I saw this sold in some sweet shops. 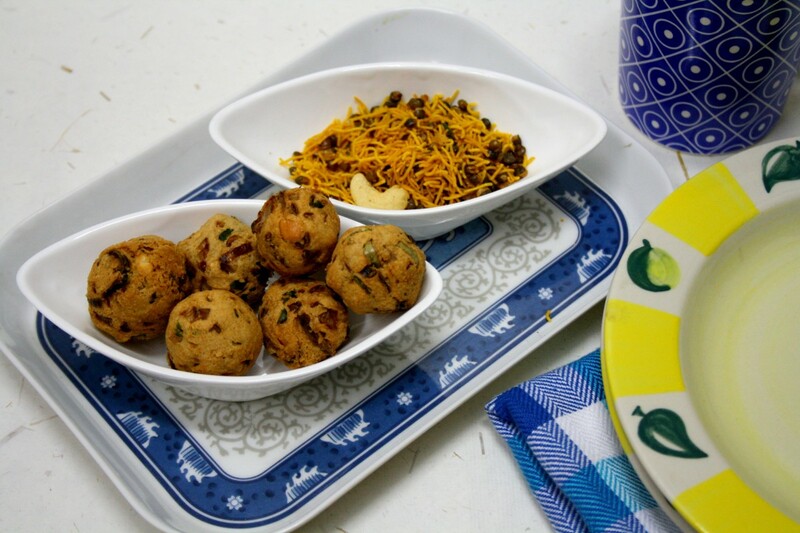 These Meddu Pakodas are also famous in the Tea Stalls on the Road Side Eatery shops. I remember baking this version couple of years back and also have a version saved up for my cookbook. Anyway we enjoyed making it for the Indian Cooking Challenge this month! 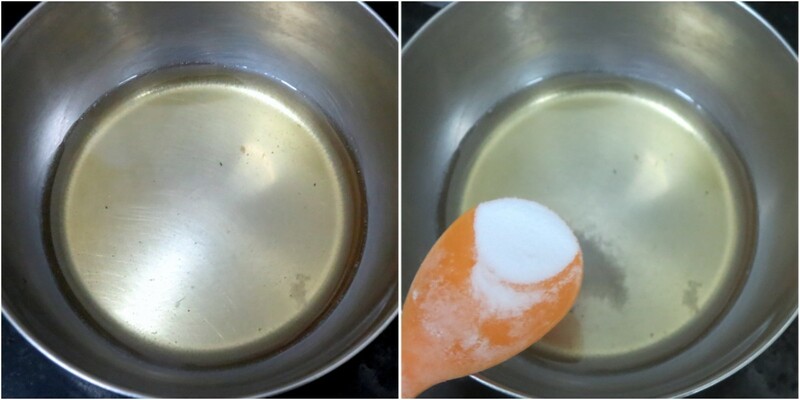 Melt ghee and take it in a small bowl, add cooking soda and rub with hand till it turn in to frothy. 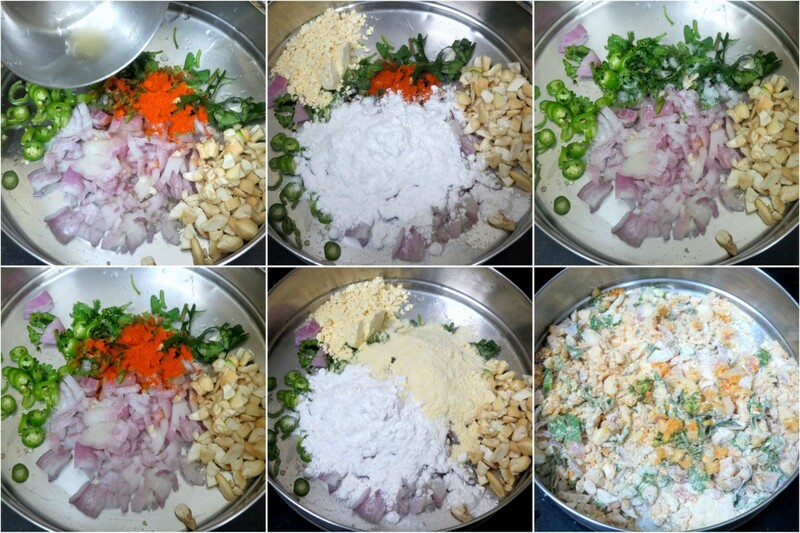 In a mixing bowl, take the Then add chopped onion, ginger, green chillies, curry leaves, cashew nuts. Mix flours, cumin seeds, red chilli powder, salt mix well to combine every thing. Add the melted ghee as well. Heat oil in a small kadai and when its hot, drop in the balls gently and cook on all sides. till they turn to a golden colour. Drain through a slotted ladle, and remove on to a kitchen towel. 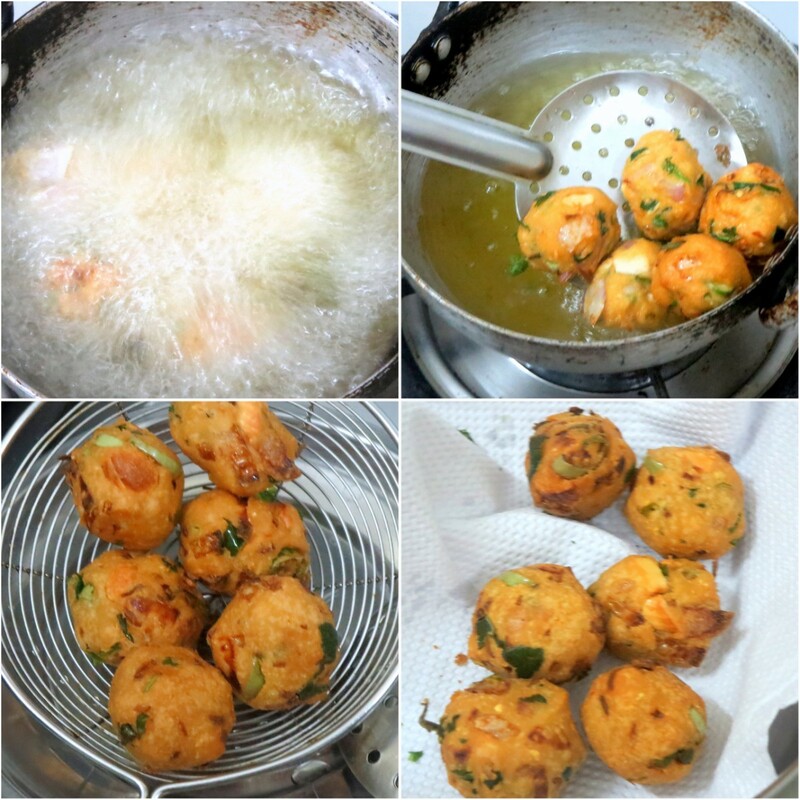 You can make these as regular pakodas as well instead of the balls. Fry this pakodas in a medium heat only other wise they remain raw in side. These pakodi looks delicious. I some how missed checking this month's ICC announcement. Will try this pakoras very soon. Used to get tempted seeing it in shops tks for the recipe.wl try soon. Yours look perfect and delicious. I tried this last week to post this month ICC, but mine turns out total disaster.The pakodas have strong flavor of baking soda and also some pakodas are disintegrated after putting it in hot oil. May be i try some other time with less baking soda. 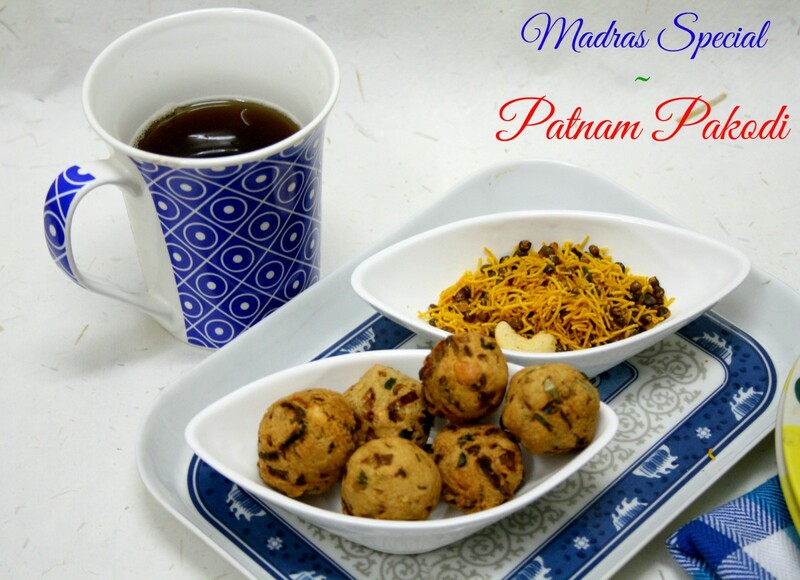 'Patnam pakoda 'name very cute.. These look delicious.Addition of gram flour gives great taste I guess. 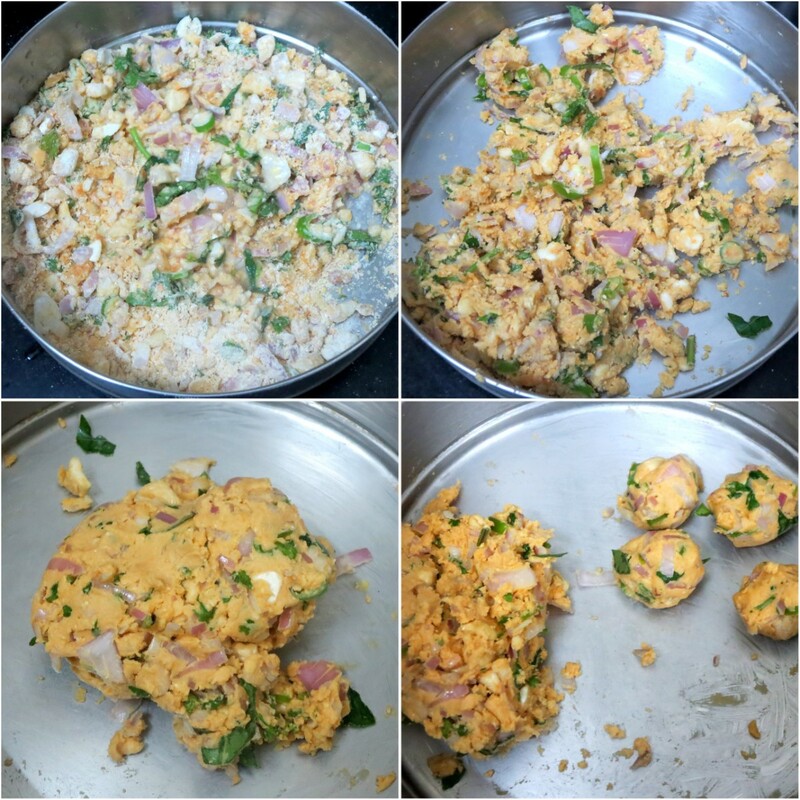 Perfectly made pakodas Valli. I had to change the recipe a little (read my post — you'll know) but thoroughly enjoyed these crispy and delicious pakodis.